Businesses are still dealing with the fallout from a cyberattack that hit 200,000 victims in 150 countries, with many organizations and individuals wondering if they are at risk. WannaCry affected an exploit in the Windows XP operating system on PCs, and Microsoft shortly sent out a fix for the security flaw. 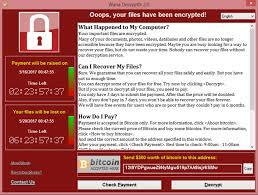 But authorities such as the U.K.’s National Cyber Security Center (NCSC), warned over the weekend that as the working week begins, further cases of ransomware could come to light.